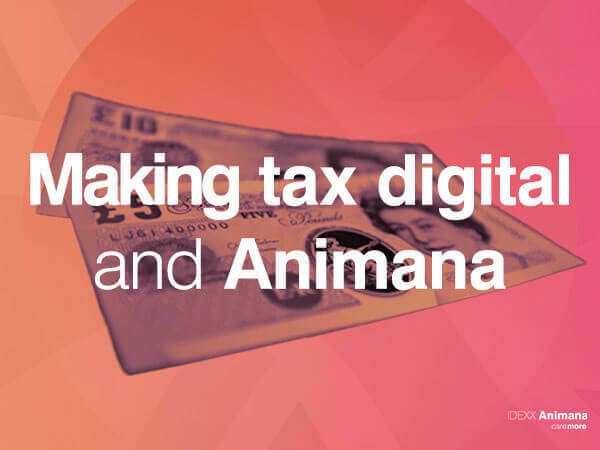 The Making Tax Digital (MTD) is a UK Government initiative to improve tax administration for UK business and individuals so that it’s more efficient and easier to get tax right – saving everyone valuable time. Part of this legislation is ‘Making Tax Digital for VAT’, which applies to VAT-registered businesses above the £85k threshold. Such companies will be required to submit VAT returns digitally. Making Tax Digital for VAT went into effect on 1st of April 2019, after which, businesses who are VAT-registered above the £85k threshold are required to submit VAT returns digitally using compatible software. In cases where multiple software packages are used – for example, IDEXX Animana and Sage – a ‘Digital Link’ must be created; once data is recorded digitally, any future transfer must remain in a digital form, and must not be manually transferred. Most commonly these digital links will be in the form of a compatible export, which is then uploaded into compliant financial software, or given straight to a tax agent. For the 2019/2020 tax period, HMRC has defined a “soft landing period”, during which businesses are not required to have digital links between software programs – for the soft landing period only, HMRC will define “copy and paste” actions between software as an allowable digital link. If your VAT period starts on or after April 2019 then you have until April 1st, 2020 to have digital links in place. If your VAT period starts on or after October 2019 then you have until October 1st, 2020 to have digital links in place. What does this mean for IDEXX Animana users? For most IDEXX Animana users, you will be recording sales in Animana at the point of sale, sales information is then transferred to an accounting package at a later date. 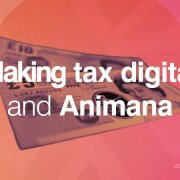 To meet Making Tax Digital requirements, all you need to do is ensure that this transfer between Animana and your accounting package is via an export-import operation. For example, you could export straight from the Invoice Detail (Excel Export) report and import this into your accounting package. Purchase invoices only need to be digitally linked if the prime entry occurs in software other than your accounting package. If you follow these steps, you will meet the requirements for Digital Tax. IDEXX Animana will continue to monitor the legislation and revise the software accordingly to ensure you remain in compliance with this legislation. Where can I get further information about MTD?